This threshold does not apply if your needs are primarily health needs and you have been assessed as having a ‘Primary Health Need’. What’s the difference between social care and healthcare? Social care is provided by the local authority and is means tested (which is where the capital threshold/savings threshold comes in). 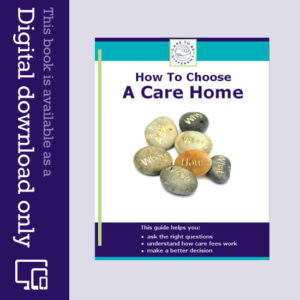 Social care generally refers to having help with the activities of daily living (ADLs), such as getting dressed and washed, getting on and off the toilet or in and out of bed, eating and drinking, continence issues and getting around. Health care is provided by the NHS and it is not means tested. It is provided free of charge. Many of the above ADLs have underlying health needs, and if not managed well, lead to increasing health needs. In addition, many people who need help with ADLs already have significant health needs. There is a huge amount of incorrect and misleading information given to families by the health and social care authorities and, as many families have discovered, health needs are often wrongly defined as social needs – and so people end up being wrongly means tested and forced to pay for care. If a local authority means tests a person without properly establishing whether or not the person’s primary need is a health need, the local authority could be acting illegally. You’re in hospital or in your own home, but you’re told you need full time care because of the state of your health…You should not be asked anything about your money by anyone until you’ve been assessed for NHS Continuing Healthcare funding. The whole purpose of an NHS Continuing Healthcare assessment is to ascertain who is responsible for funding care. Only once a Continuing Care assessment has been done, and only if NHS funding is declined, should the local authority do a financial assessment. Indeed, the only way to determine who is responsible for paying for your care is for a Continuing Healthcare assessment to be done first. You’re paying care fees but you’re questioning whether you should be…You may have been told at the start of your care that you simply have to pay. There’s also a good chance that no one mentioned NHS funding to you at the time. The same principles apply, as above. You can ask for a Continuing Healthcare assessment to be carried out now. 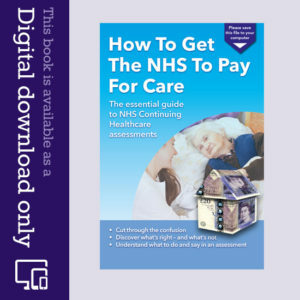 Read how to get assessed for Continuing Healthcare. You’ve been receiving NHS Continuing Care funding but this is now being withdrawn…The NHS may have recently done a review of your health needs and said that your funding is being taken away. They may also have said that you will now be passed over to the local authority for a financial assessment. 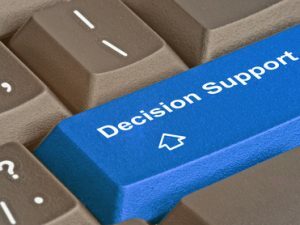 This means you’ll be means tested against the current savings/capital threshold.Again, this should only happen if you’ve had a proper Continuing Healthcare review, and it is clear from ALL the evidence (including evidence from your family and all healthcare professionals involved in your care) that this decision is correct. If you’re successful in securing full NHS Continuing Healthcare funding, this will cover both your health/nursing care needs AND your social care needs. You will not have to pay anything. Have you been wrongly means tested? 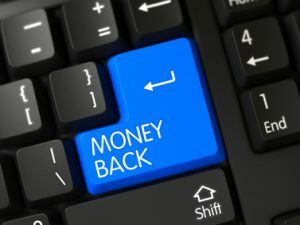 Funded Nursing Care refunds – should your care fees reduce? My father went in hospital for just over a week because he kept falling over. We think he has dementia, can’t remember anything can’t walk. Hospital said he had stage 2 kidney. Keeps wanting toilet 30 times a day. Think its in his mind. My mum’s just died with the stress. He has a catheter on. Social services have asked for means test for payment if assets over £23.250 but not anything about Continuing Healthcare.